Mineral sandmining has reshaped many of Queensland’s beaches and sand islands. 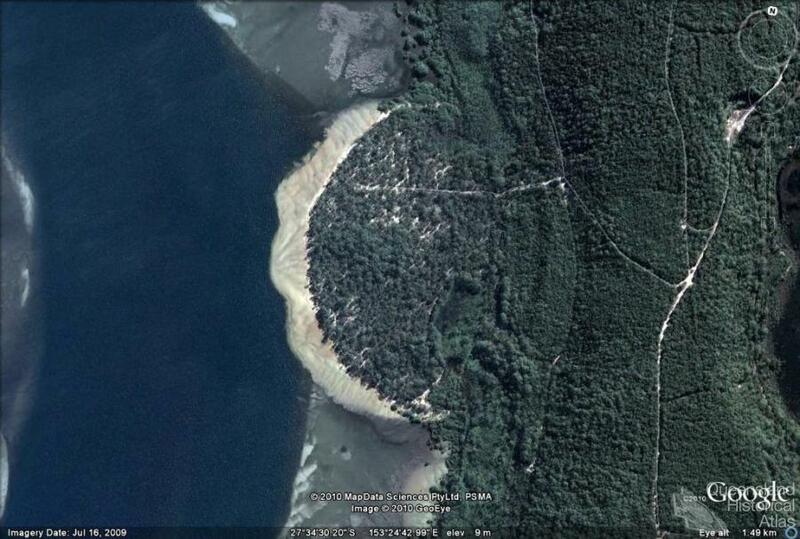 From beach front to high dunes, sandmining has been undertaken along hundreds of kilometres of coastline. From the iconic World Heritage listed Fraser Island to the tourist hub of the Gold Coast sandmining has played an important role in Queensland’s history. Sandmining was a potent political issue for many environmentalists during the 1970s and 1980s with high profile campaigns to protect high conservation value sand islands, most notably Fraser and Moreton. While these campaigns were successful, mining continues to reshape North Stradbroke Island. The first sandmining in Australia took place in Byron Bay in 1934 when Zircon-Rutile Ltd formed to mine the beach sands along the coast of New South Wales. Byron Bay was chosen because the area contained a high concentration of mineral sands which were previously mined by gold prospectors. From these small beginnings, the sandmining industry expanded along the east coast of Australia, establishing mines from the New South Wales Central Coast to the shores of Fraser Island. Through geological time the island of Minjerriba formed off the Queensland coast as mineral rich sands from mainland erosion coalesced through tidal and wind action around the rocky outcrop of Point Lookout. This unique geological process formed an island of high ecological and mineral value. Its undulating sand dunes give way to pristine perched lakes surrounded by dense native vegetation that runs to the shoreline. The dune system supports different forest communities, ranging from dwarf woodlands and grassy forests to tall layered woodlands and rainforests. The ecology of Stradbroke is similar to the World Heritage Fraser Island. In recognition of Stradbroke’s ecological importance the Island’s Blue Lake is listed as a National Park and many of the wetlands are RAMSAR listed. However the ecology of the Island has been dramatically changed by the advent of sand mining. Mining began on the Island in the 1950s on the beachfront. The process was labour intensive with miners digging through the top layer of sand to extract the rich black mineral sand below. By the 1960s these concentrations had been exhausted and the miners moved their operations to the foredunes. Beach mining was hard work with between 25 and 30 men working in teams to shovel sand as fast as they could. As miner Frank Candile recalled they often ‘stayed on the beach behind the dunes in tents … [to] … have a load of mineral ready for when the vehicles could get down on the beach’. This mining caused minimal disruption to the environment, however, as the industry expanded in the 1970s the impact on Stradbroke’s ecosystem increased. In 1979 sandmining company Consolidated Rutile Limited (CRL) began dredge mining on Stradbroke’s high dunes. The use of dredge mining dramatically changed the landscape of Stradbroke. To establish a dredge mine the high dunes are levelled and vegetation is stripped to create a dredge pond. The dredge is continually moving, leaving behind the tailings sand as it progresses. While the dunes are regenerated the original ecology of the Island cannot be replaced. Sandmining on Stradbroke has generated significant environmental consequences. A number of serious environmental incidents have occurred altering the landscape and ecology of the Island. In March 1980, shortly after dredge mining commenced, a significant sand-slide occurred displacing four hectares of vegetation. The slide completely reformed the coastline of the Island. Rather than attempt to rehabilitate the area, CRL created a boating recreation area for public use on the site. In 1987 perched Lake Kounpee was partially drained after the mining operations breached the impervious layer. By 1998 CRL had spent over $300,000 attempting to fix the damage. However, according to Wayne Sanderson writing in the Courier Mail on 9 April 1997 the Lake ‘has never recovered, turning a clear freshwater lake into the reedy waterhole it is today’. CRL have admitted that they cannot repair the damage to the Lake. In 1991 up to 100,000 litres of diesel spilled into Amity Swamp. The incident was not reported until 1994, the same year CRL was awarded a commendation in the inaugural State Government Award for Environmental Excellence. It was not until 1997 that the incident was acknowledged in CRL’s Annual Report stating that the spill was expected to be cleared by 1999 – eight years after it occurred. Despite these environmental incidents the company was never fined by the Department of Mines and Energy and was able to continue operating. 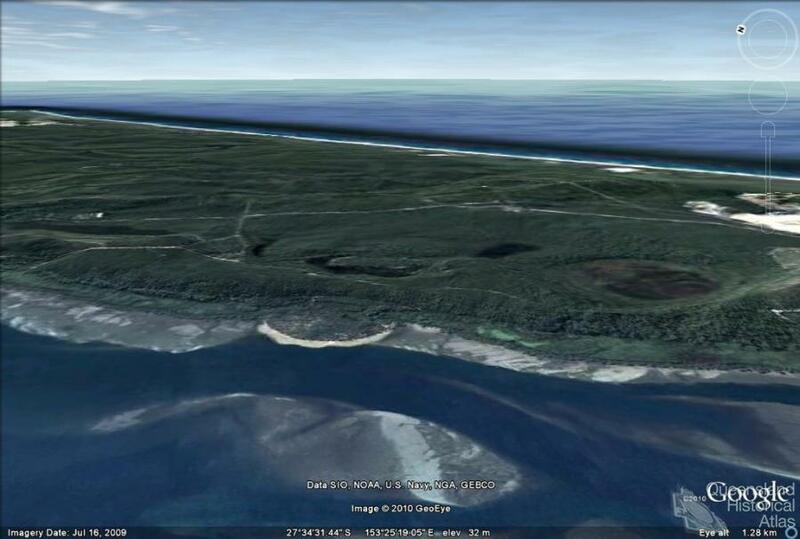 However, for Stradbroke Island considerable environmental harm had been caused. The future for Stradboke rests on the success of rehabilitation techniques to return the sand dunes to their former state. However, the success of rehabilitation is a contentious issue. 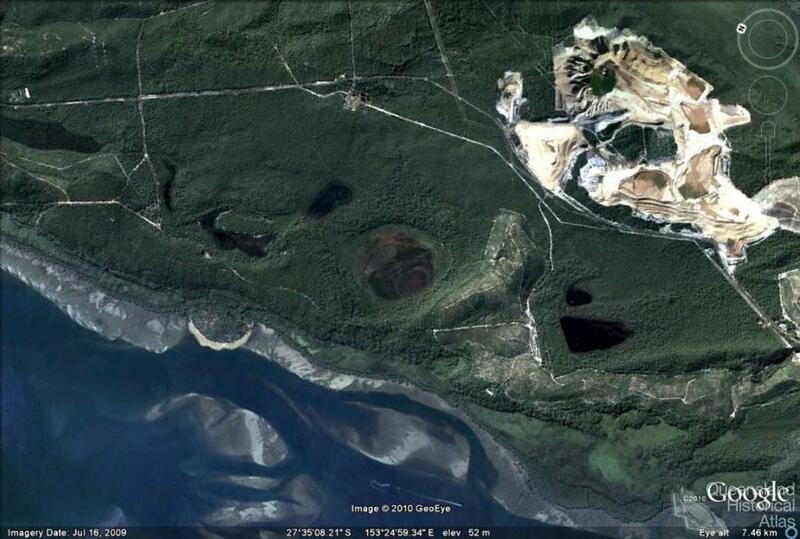 Like an open-cut mine, sandmining is a highly destructive process that undermines the integrity of the dune structure. When vegetation is cleared to extract minerals from the sand, landscapes are disturbed and ecosystem dynamics are degraded. CRL claim that ‘it is possible in most current rehabilitated areas to achieve, over approximately 10 years, plant densities and the full range of species present in the pre-mining plant community’. However, Queensland Conservation Council campaigner Bill Huxley argued in 1975 in Sandmining handbook that the destruction of sand dunes ‘will mean permanent loss of the original plant community. Stabilisation is all that can be expected after mining as true restoration is not feasible’. Stradbroke Island’s mining leases are up for renewal. A coalition of local residents and environmentalists formed the lobby group ‘Save Straddie’ to pressure the State Government not to renew the leases. On 20 June 2010 Premier Anna Bligh announced that mining on Stradbroke would be phased out. However, the Government has set 2027 as the date to gazette the Island national park. Coincidently 2027 is the date CRL predicts they will complete operations on their leases. ‘Save Straddie’ believes the State Government intends to unofficially extend the mining leases further delaying Stradbroke’s transition to national park. An alternative future exists for Stradbroke as an eco-tourist destination and national park reserve for greater Brisbane. Just as the conservation values of Fraser and Moreton Island have been recognised and protected there is an opportunity to conserve Stradbroke’s natural environment. Island locals have long recognised Stradbroke’s appeal and tourism is seen as a viable future for the Island. Stradbroke Island is the last major sandmining operation on the east coast of Australia. Almost 60 years after mining began on the Island its future is still contested. It seems likely that mining will end and a significant portion of the Island gazetted as a national park protected for future generations. He stretched for miles in the sun. Bathed this giant in the sun. And weakened this giant in the sun. Spare you your place in the sun?